PENK wrote: I never really got into Prey and instead went back to The Witcher 3. I still haven't finished it: it's too bloody big! I think I'm approaching the endgame (though I then have the DLC to get stuck into), but have been too busy trying to get really good at the card game and collect all the special cards (I already missed some apparently due to getting barred from a pub somewhere!). I like this kind of game where there's lots of adventure and exploration and unlike other similar games, the plot of Witcher 3 keeps my attention and the dialogue is gritty and witty, with strong characters and a good awareness and subversion of genre tropes. I tried the Prey demo on PS4 and was massively disappointed. I didn't think it was mechanically good at all. The Witcher 3 is something I bought on the day of release and played for about 5 hours solidly but then stopped. I really enjoyed it but I'm afraid to go back because I know how much of a time vacuum it is, but I know it will become one of my favourite games despite the issues I had with it - mainly the combat which I found a little underwhelming and convoluted. Only thing is, they released the new Dishonored game today and I've got that cued up as well... good job I'm on leave and my daughter still takes two 90-minute naps a day! I'm quite impressed by this. It takes the best bits of old school FPS shooters and modernises them. There's labyrinthine levels, health and armour packs, ridiculously oversized weapons, and a gloriously OTT metal soundtrack straight from the 90s and it's all with very high production values and the right modern elements. The story is an utterly ludicrous alternate timeline involving very camp space Nazis taking over the world after winning in 1945, with an underground resistance trying its best to take everything back. Despite the silliness it somehow manages to actually tell a fairly compelling story with interesting characters and dialogue, give some insight into Nazi war crimes and ideologies, and through the eyes of the protagonist make a comment about how players of meathead shooters would actually interact in a modern context. It balances stupidity with seriousness very well. I do have some complaints about it though. The cut scenes are pre-rendered rather than in-engine so they're quite jarring. Also the editing and visual storytelling in them isn't quite up to par with proper filmmaking. The colour palette is a little muted. I know the environments are supposed to be grim and based on a fascist state but at least try to add a bit life into the greys, blues, blacks, and browns. The vehicle and turret sections are quite piss poor. The AI is pretty bad. Even on the highest difficulty they'll walk into walls, ignore comrades' dead bodies, and sometimes just bug out. The stealth mechanics are okay but very rudimentary. The sequel (which comes out next month) could learn from something like Dishonored. I'm playing on console which means I have to take my right thumb of the right analogue stick in order to press Square to pick up items from the ground, which interrupts the flow but I think on PC this isn't a problem. I'm also playing on the hardest difficulty and it's limiting my movement thanks to the high damage I'm receiving. I think when I play this at a lower difficulty (and I will because I want all the trophies) it'll become a much more fluid and fun game, one where I can run around doing whatever I want. I'm still enjoying it at Uber difficulty but I do think it's completely different game to what the developers wanted. Don't let my excessive whining put you off though. I really recommend this. It's nice to see a 90s-influenced game like this and it's even nicer to see it's getting sequels. I'm happy to see that even though Call of Duty and Battlefield with their emphasis on multiplayer and very poor tacked on campaigns have been dominating the market for the last decade, there has been a resurgence in shooters going back to the old school ways. Loving this. One hundred people all jump onto an island and have to scramble for items and kill each other, the play area gets smaller and smaller (if you go out of the area you die), until one person or team remains and they're the winner. 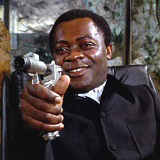 It's basically Battle Royale (as the title suggests) but without the ultra violence, melodrama, or screeching Japanese girls. It's best played with friends. Unfortunately it is littered with bugs, the controls are very unintuitive, and there is only one map but since it is early access I'm hoping these things will change in the future and you can't really complain too much when it's completely free. Best game of all time. Star Wars Battlefront II looks like the Star Wars game I've been dreaming about since I was about 10. Toby wrote: Star Wars Battlefront II looks like the Star Wars game I've been dreaming about since I was about 10. Then I saw their utterly cynical pay-to-win system and decided to boycott the game entirely. I'm jumping on the hate bandwagon but I feel like it's entirely justified, especially with the current climate of gaming. It also doesn't help that the single player game is just 7 hours long. With Mario Odyssey and Wolfenstein II which is adamantly single player coming out in a couple of days I'd rather spend my money and time elsewhere than on EA-infected shite. It only took 12 years of harassment from algroth for me to finally play this game. If I had known Planescape: Torment would’ve been this brilliant, I would go back in time and harass myself over not playing it sooner. Just waiting for CofD WW2 to install.. I'm having an entire evening of enthusiastically shooting Nazis. joels344 wrote: It only took 12 years of harassment from algroth for me to finally play this game. If I had known Planescape: Torment would’ve been this brilliant, I would go back in time and harass myself over not playing it sooner. Is it still available for Mac? @darkness_fish just saw that you sent me a PS4 party invite. Did you want to chat or something? Toby wrote: Just waiting for CofD WW2 to install.. I'm having an entire evening of enthusiastically shooting Nazis. It is! 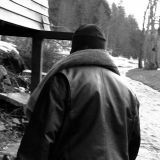 You can buy the Enhanced Edition on Steam for around $20. It's been 7 months and the Switch has already released two of my favourite games of all time. With just this and Breath of the Wild, Nintendo are utterly annihilating the competition. 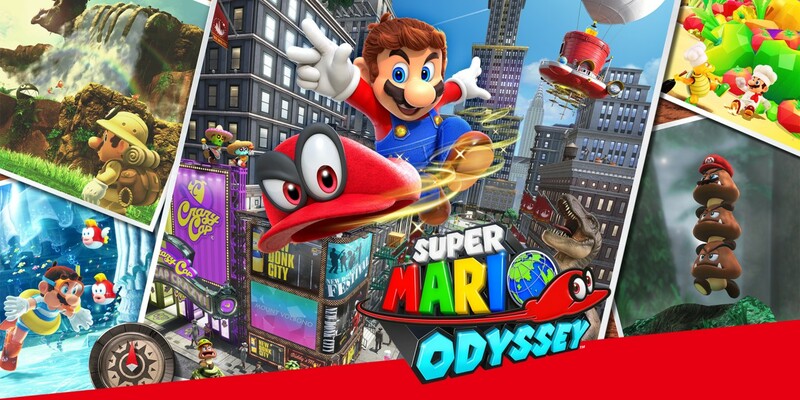 With BotW they've released what is probably my favourite game ever made and with Odyssey, a contender for second place. I haven't played a game that brought me this much childlike wonder and joy since going into the first Super Mario Galaxy blind. driftin wrote: @darkness_fish just saw that you sent me a PS4 party invite. Did you want to chat or something? It's both a vast improvement and several steps backwards for the series. Nah, that would've been Tom getting confused, he's always on Overwatch or Minecraft with his mates these days, ever since I relented and got him a headset for his birthday. I created a new account for him, giving him an age of 16, but he never uses it because his mates know the DarknessFish account. So I end up playing as twbmerc now. Re: Wolfenstein - I like my Nazis as they probably were, not souped up undead nonsense. 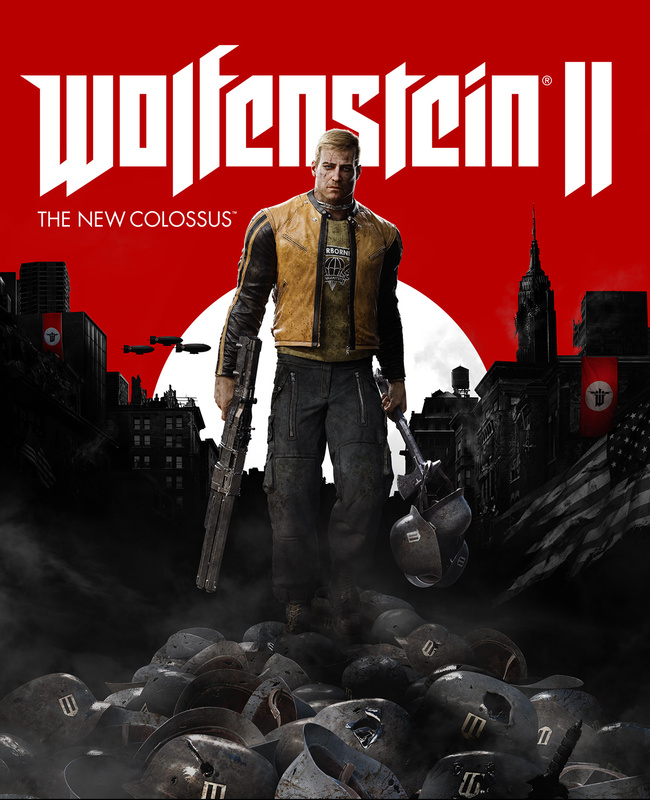 Nah, that's the old Wolfenstein canon. This new one is an alternate history where the nazis ended up winning the war using giant mechs and a base on the moon. 20 years later you lead a resistance against them. It's so gloriously silly you expect Udo Kier to appear and start goose-stepping to Laibach's “B Mashina” at some point. Great stuff. I don't have a problem with normal WW2 games, I just have an absolutely huge problem with CoD and Activision. driftin wrote: This new one is an alternate history where the nazis ended up winning the war using giant mechs and a base on the moon. 20 years later you lead a resistance against them. That's my point - I don't like silly stuff like that. I'm sure there are huge issues with Activision and CofD (I really despise the modern CofD theme) but I like shooting Nazis in Normandy. Finished Ori and the Blind Forest just yesterday. From a gameplay standpoint it was very enjoyable, I really liked the way it conveyed information to the player by means of early, "simple" logic puzzles that subtly illustrated how to combinate new abilities gained. From an aesthetic standpoint it's lovely, full of lush visuals and a wonderful score... 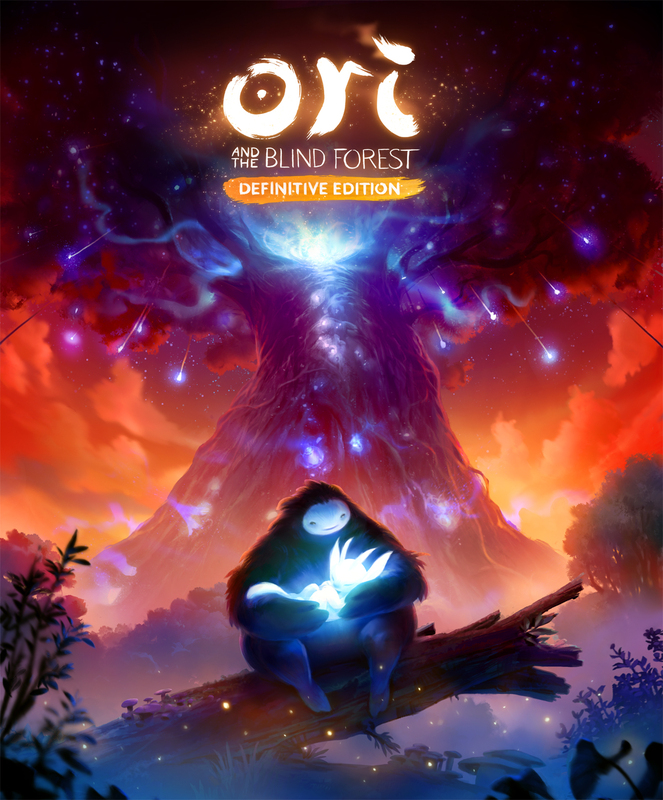 The one thing I feel keeps it from greatness overall is that personally at least I was not as compelled with the story itself - despite a lovely intro and what seemed like what would be a very touching personal story, in the end I felt like a lot of the beats and turns ran in parallel with the actual gameplay or Ori's journey, especially as seen through the end, where it's not even you who brings Naru back to life and truly saves the Forest and so on. From the perspective of a Ghibli enthusiast, I also feel it falls a bit into the Pixar problem of wearing the visual/tonal influence on its sleeve but capturing none of the actual content that makes the studio's films more than just family entertainment - it all amounts to a bit of fluff in the end, but as far as entertainment goes it's damn good one all the same (and still probably a better wannabe-Ghibli than Pixar).